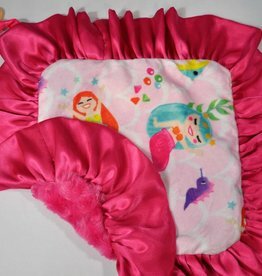 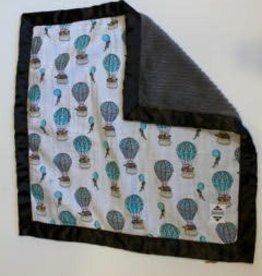 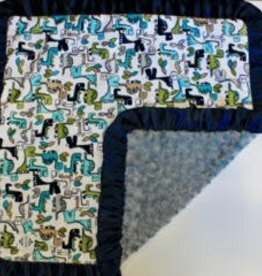 Wonderful assortments of blankets from the practical to the plush. 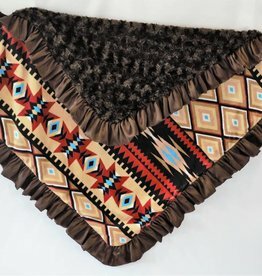 Micro plush blanket with Aztec design, brown satin ruffle and solid dark brown micro plush fiber on reverse side. 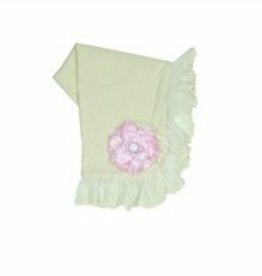 Ivory cotton with ivory lace netting overlay receiving blanket. 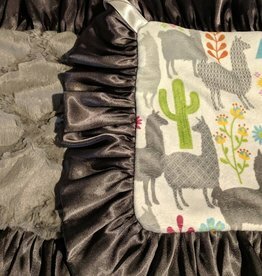 33" square including the ruffle.